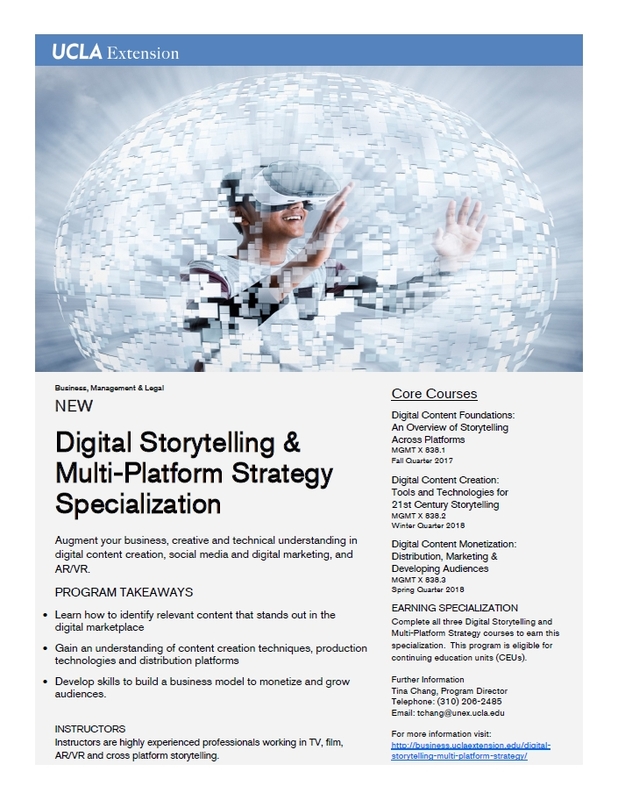 The Digital Storytelling and Multi-Platform Strategy Program is designed for those interested in digital content creation, social media and digital marketing, and AR/VR. The platforms emerging from the rapid desiloization of storytelling and technology will impact both the creative and business development process of content creation, promotion and distribution. Content creators, digital marketing and social media ambassadors, and media executives who are looking to augment their creative, business and technical understanding in today’s evolving media landscape will benefit from this program. 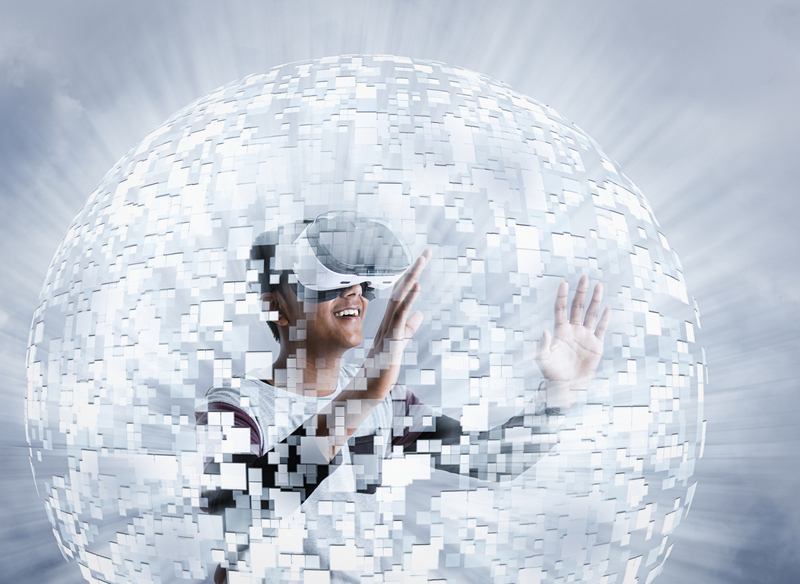 Case studies, readings, screenings and guest speakers will support this unique exploration into the cutting edge of digital content. By the end of this specialization, students will have had the opportunity to workshop a creative and/or business proposal on a relevant topic of their choosing. Learn from highly experienced professionals working in TV, film, AR/VR and cross platform storytelling.